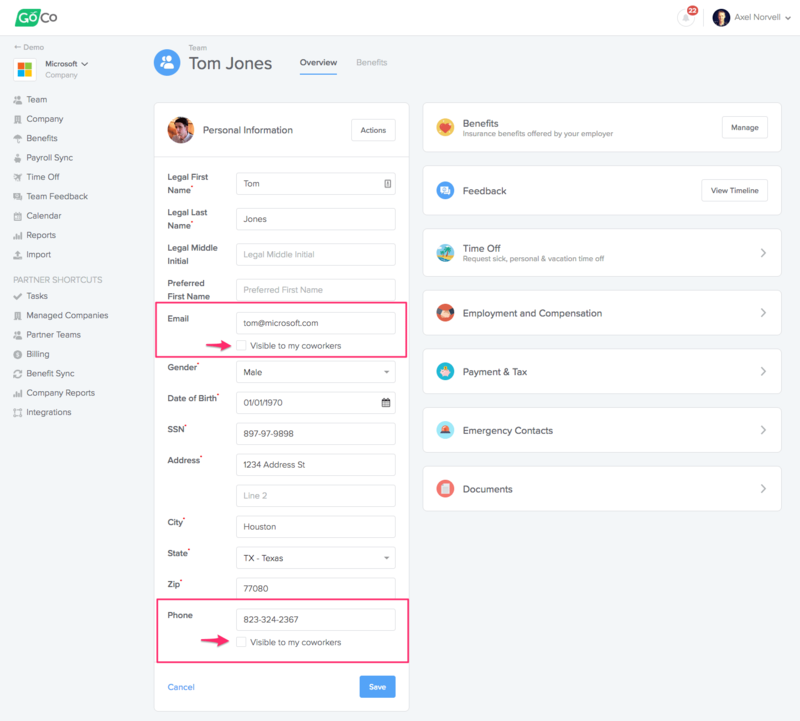 We just released Org Charts for all Premium HR clients on GoCo! You can now easily visualize your company’s hierarchy with an interactive org chart. You can zoom and pan the org chart to explore your entire company. Searching the org chart is a breeze. Simply type the name or department you’re trying to find, and the org chart will automatically navigate you to that person or department! Want to export and use the org chart in a presentation? Simply click Download and a PNG image of the org chart will be saved to your computer. You can use that image in Powerpoint presentations, emails, or even print it out! We also made some improvements to the Team page that are available to all GoCo clients for free. 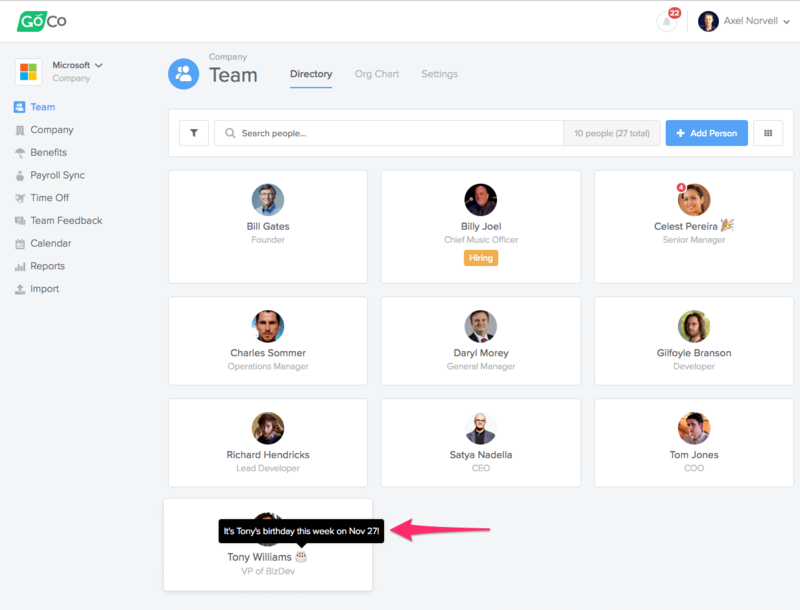 All team members can now login and view the company’s directory by accessing the Team page. Only basic information (like name, work location, department and managers) are shared with employees. Don’t worry! All sensitive employment and personal information will remain hidden from those team members who don’t have access to it! Each team member can also share their email and phone number with their coworkers by opting in on their profile or during onboarding. 🎂 Birthdays: It’s Tony’s birthday this week on Nov 25! 🎉 Work Anniversary: It’s Celest’s 3 year work anniversary this week on Nov 27! 🎉 First Day: It’s John’s first day this week on Nov 29! ✈️ Time Off: Rebecca will be out of office until Nov 28! 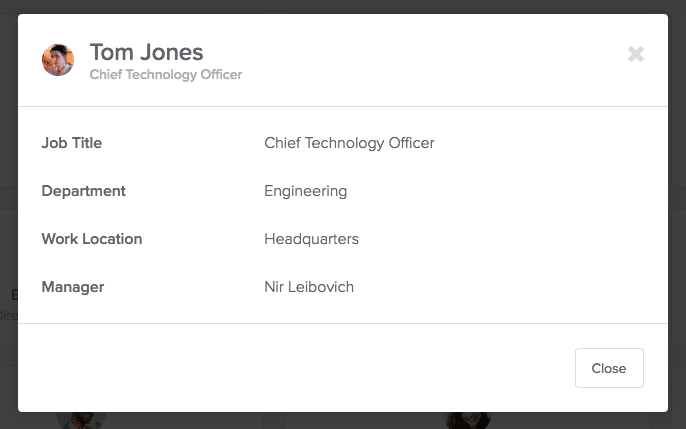 We’ve love to hear your thoughts on GoCo’s Org Charts and the new Team page improvements. If you have any comments please contact us and let us know!